ABQ Beer Week spans 11 days of craft beer glory from May 23 - June 2, 2019. During this week, we want to help you support and spread your love of craft beer at your establishment. The time is now to register your ABQ Beer Week event. How do I submit my event? In order to keep ABQ Beer Week fun and entertaining for attendees we have some event guidelines that need to be met in order to participate. 1. Events should be focused on craft beer brands and brewers. Please focus on local, regional, national or international craft beer. 2. Events need to unique, engaging, educational, entertaining and/or a departure from the norm. The event does not have to be large, but it does have to be beer-related and add something to Beer Week. For example, $1 off pints is not something we think adds value to Beer Week. We will review each event submission and let you know if it does not meet our guidelines. Events that will likely not be approved are events you already promote on a weekly basis - i.e. happy hour or drink specials. Option 3: If you are a distributor and would like to register multiple venues and multiple breweries the fee is $400 for unlimited event listings. What do I get for participating in ABQ Beer Week? You get to share the love and appreciation of craft beer with ABQ’s craft beer community. Win/win! How do I get the most out of my ABQ Beer Week event? I want to participate but I can’t think of anything to do! Help? Here are just a few examples of events that have been a big success (and great fun) in the past. There are photos from ABQ Beer Week on the ABQ Beer Week Facebook page and more examples of ABQ Beer Week events here. May 26: ABQ Blues & Brews. 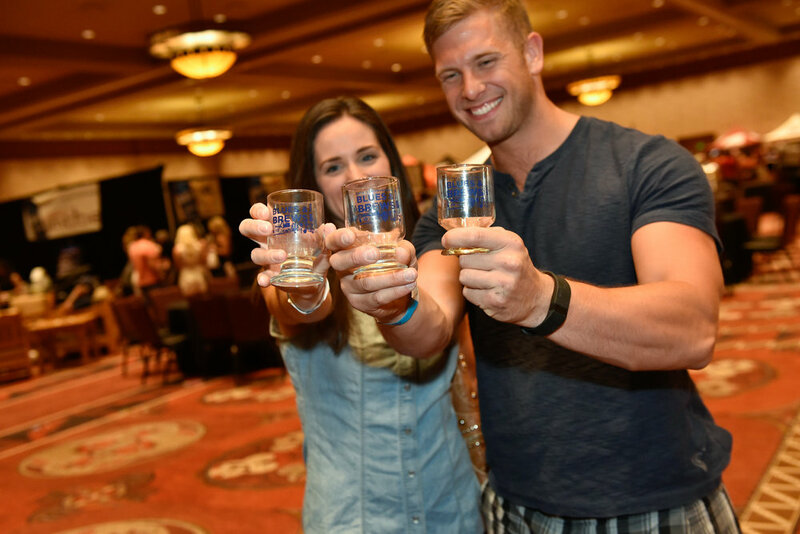 The annual opening festival featuring craft beer, blues bands at Sandia Resort & Casino. Register here. Each day we will spotlight an event, with Facebook promotion, Twitter Promotion, Website announcement bar & highlighted on the event brochure. This will only be for 1 event per day, if you are interested in having your event spotlighted, please indicate below. Please submit $40 for each event you would like listed, or your venue fee as indicated above. If you would like information on being a larger presence during ABQ Beer Week, we can send you our ABQ Beer Week Partnership Package. We will be ordering shirts and glassware and will offer these items at cost to participating venues to use for events, staff, giveaways or to sell. Your submission has been received. Someone will be in touch shortly. Thank you!